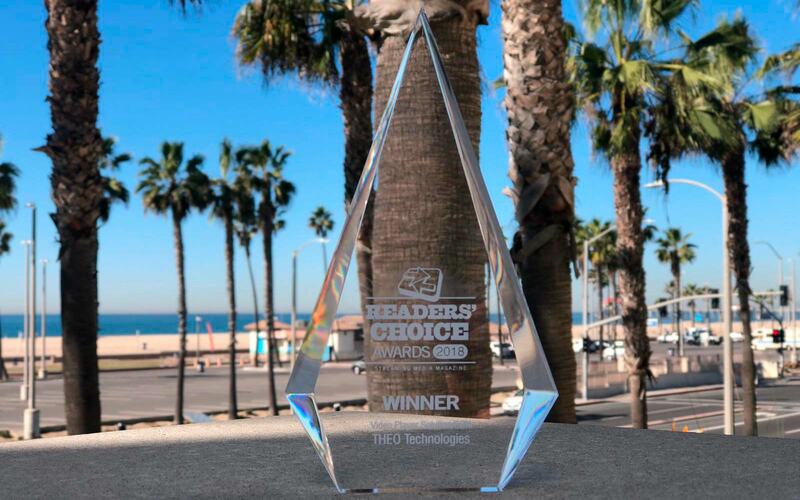 The 2018 Readers’ Choice Award winners have been announced yesterday during Streaming Media West in Huntington Beach, California. The competition gathered more than 25000 votes across 30 categories and... drumroll... THEOplayer got awarded Best Video Player Solution/SDK 2018! After winning the 2018 Europe Readers’ Choice Award a few months ago, THEOplayer has conquered the rest of the world for the 2nd time in a row! Another great milestone which recognizes our excellence in the online video industry. 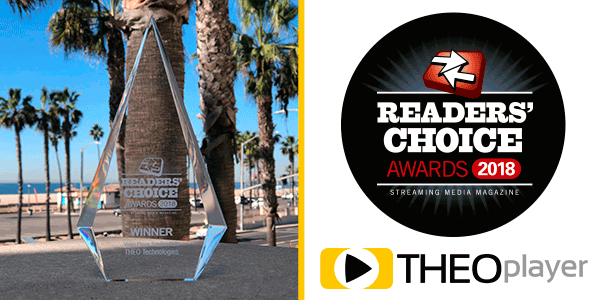 We are honoured and proud to be the first choice for the Streaming Media Magazine readers when they want to provide the best viewing experience on every platform and device. We would like to thank everyone who voted for us - you are the reason why we keep working on developing the most advanced, performant and innovative video player on the market , said Steven Tielemans, Founder and CEO of THEO Technologies. THEOplayer provides a single player across all major devices, platforms and browsers – both in browser and native environments without the need for plug-ins. We deliver the most performant video playback technology: superior viewer experience and the most advanced feature set and functionalities. Our best-of-breed approach with a stable and constantly updated integration framework facilitates the player deployment in the media companies ecosystem. We empower the video services for the biggest video publishers in the world, covering all industry segments and regions. Do you want to have the chance to test the Best Video Player Solution/SDK 2018 yourself?